Aksyonov, Vassily. Ostrov Krym . Eksmo 2005. 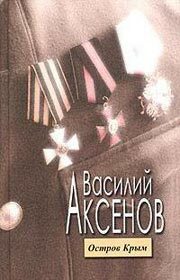 Aksyonov, Vassily. Ostrov Krym . Eksmo 2007. What if: The Crimea was an island, and White Russians successfully held it against the Bolsheviks and established a provisionary democratic government. 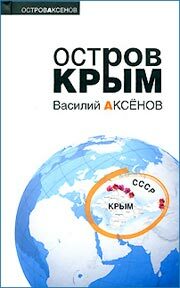 Summary: In the early 1980s, a Crimean newspaper editor spearheads the Common Fate re-unification movement, playing into Soviet hands. Published: Ardis 1981 (0882337440, 0882337459); Eksmo 2005 (5699105271), 2007 (5699250611). Translation: English by Michael Henry Heim as The Island of Crimea , Random House 1983 (0394524314BUY), Vintage 1984 (0394727657BUY); Hutchinson 1985 (0091597005BUY). Translation: French by Lily Denis as L'île de Crimée (as by Vassili Axionov), Gallimard 1982 (2070209504). Translation: Swedish by Lars Erik Blomqvist as Ön Krim , Norstedts 1984 (9118315216).